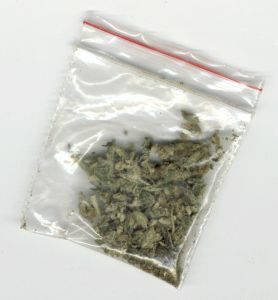 Possessing up to an ounce of marijuana in California has been reduced from a misdemeanor to an infraction and is now no more serious than getting a speeding ticket, the Associated Press reported. Our Los Angeles marijuana defense attorneys recently reported on our Marijuana Lawyer Blog that the legislature passed the law, which reduced possession of marijuana from a misdemeanor to an infraction. The maximum fine remains $100. In signing the law, Gov. Arnold Schwarzenegger said he does not support decriminalization of marijuana but noted the new law will save the state courts millions of dollars in processing misdemeanor marijuana offenses. “In this time of drastic budget cuts, prosecutors, defense attorneys, law enforcement and the courts cannot afford to expend limited resources prosecuting a crime that carries the same punishment as a traffic ticket,” the governor said in a statement. The change in legal status comes as voters prepare to weigh in on Proposition 19 this November. That ballot initiative would legalize possession of up to an ounce of marijuana by adults over 21. California Department of Justice records show that authorities made more than 60,000 misdemeanor marijuana arrests in 2008.